Chelsea have a challenge on their hands to defend their Premier League crown as Antonio Conte looks to become the first manager in eight years to win back-to-back titles. The Blues were dominant in the top flight last season, romping to their fifth crown in the last 14 years. Antonio Conte impressed with his tactical nous and man-management, providing a stark contrast to the team that gave up on Jose Mourinho the season before. Conte’s brought the best out of Eden Hazard and Diego Costa up front – the two players whose form had dropped drastically in the previous campaign to the detriment of the entire side. David Luiz, Gary Cahill and Cesar Azpilicueta formed a strong unit at the back, highlighting the Italian’s ability to work on the fly, with his three-man defensive system delivering immediate success. Problems have emerged this summer, with Costa reportedly on the verge of a move away from Stamford Bridge. The club missed out on Romelu Lukaku as the Belgian moved to Manchester United, and although Alvaro Morata was signed instead, the Spaniard did not have the best of starts in a Chelsea shirt in the Community Shield. Morata does have pedigree at the highest level, scoring 16 goals for Real Madrid last season in their surge to the La Liga title. However, whether the 25-year-old can fill the potential void vacated by Costa is another matter to spearhead Chelsea’s attacking play on his own without the support of Real’s talented midfield and Cristiano Ronaldo. Hazard’s injury problems have made life even more difficult for Conte, who will once again need to be at his best to keep Chelsea at the top of the table. The Blues are backed in thelatest Premier League betting odds at 7/2 to retain the title, although the challenge they will face from Manchester City and Man United will ensure that the race goes down to the wire. Further reinforcements could strengthen Chelsea’s claim to go back-to-back, with reports linking the club with moves for Ross Barkley, Danny Drinkwater and Alex Oxlade-Chamberlain. Conte’s starting line-up does not need a great deal of improvement to win the Premier League, but the added factor of additional matches in the Champions League will put his squad under duress. Tiemoue Bakayoko and Antonio Rudiger are like-for-like replacements for Nemanja Matic and John Terry, while the defensive depth has been depleted as Kurt Zouma moved to Stoke on loan. If Conte and the club’s recruitment staff are unable to bolster the numbers of the squad, especially at the back, it could leave Chelsea exposed in the latter stages of the campaign. The next couple of weeks could be vital for the Blues’ hopes of reclaiming the crown, with the pressing need for new additions at Stamford Bridge. 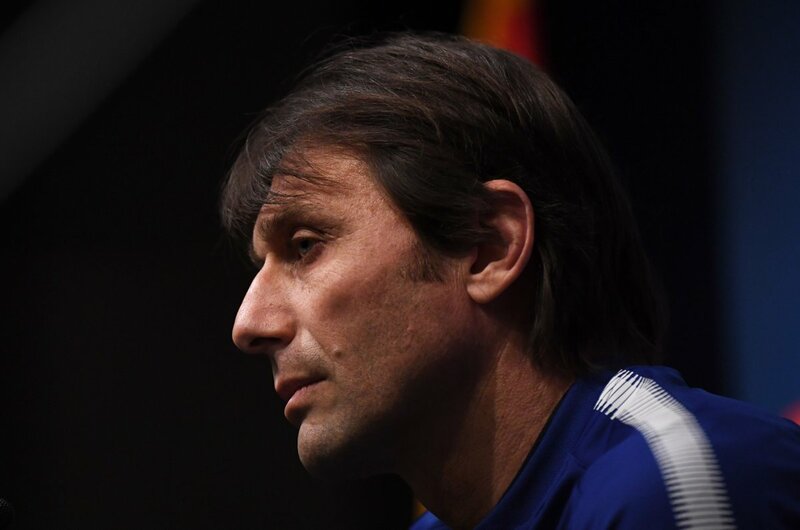 Otherwise, the pressure will be on Conte once again to deliver magic with his current squad, which with the added duress of the Champions League may prove to be too much for the Italian to handle on four fronts.